Your teeth are designed to serve you throughout your life if you care for them properly. Unfortunately, tooth loss remains a prevalent problem. Whether due to decay, disease, trauma, or infection, your prosthodontist, Dr. Steven H. Feit can rebuild a healthy, functional smile with dentures in Boca Raton. Several advancements in dentistry now allow them to look and feel more natural than ever to closely mimic your natural teeth. You will help you regain a flawless smile. Replacing missing teeth requires a certain level of artistry along with science. To make a wise investment for your smile and your quality of life, you cannot turn to just anyone. You need the help of a prosthodontist, like Dr. Feit. A prosthodontist has undergone additional training to treat issues that affect the health, function, and appearance of the teeth. Dr. Feit creates customized treatment plans and works collaboratively with laboratory technicians to help you enjoy a solution that closely looks and feels natural. Dentures are the most conventional treatment for tooth loss because they are affordable, convenient, and effective. Depending on your degree of tooth loss, your prosthodontist in Boca Raton will choose a treatment that best meets your needs. 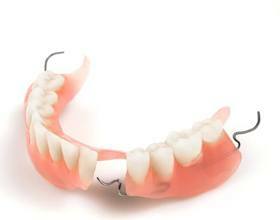 Partial Dentures: Several missing teeth can be replaced using a partial denture. Prosthetic teeth are designed to match the appearance of your natural ones. They are attached to a metal framework that allows the appliance to clip or clasp onto your remaining teeth. 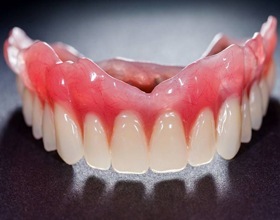 Conventional Denture: A gum-colored base holds your prosthetic teeth, which is carefully crafted using an impression of your mouth. It is held in place by using suction or an adhesive. This option can take several months because you must be healed fully from any tooth extractions. Immediate Denture: An immediate denture is a removable appliance that is placed the same day as your extractions. This allows you to enjoy a functional smile while you heal; however, you will need to have it relined afterward. Overdenture: If some of your teeth can be saved, an overdenture fits over them while filling the space of your missing teeth. Implant-Retained Denture: An average of 4 dental implant posts anchor your denture to your jawbone. It has the potential to last for a lifetime while eliminating any slipping or irritation. Dr. Feit performs a comprehensive consultation to assess your oral health and structures. He creates a strategic treatment plan to replace your missing teeth with a solution that meets your needs and your lifestyle. He takes the time to ensure it provides the highest degree of function while creating a natural-looking appearance. If you are ready to overcome the challenges of missing teeth, do not choose just any dentist in Boca Raton. Choose a trusted prosthodontist in the community who has the experience and qualifications necessary to rebuild a beautiful smile. Contact our office today to schedule your consultation for dentures.